It’s been ten days since I started coming down with a cold. I felt drippy, achy, coughy… Ya, it was terrible. Is terrible. It is now day 10 and I still am feeling run down and tired. I finally went to the doctor and she said all I could do was take time to let it run it’s course. I didn’t have a bacterial infection, just a normal virus and there isn’t a cure for that. At least she gave me some strong cough syrup. Maybe I can get my voice back again. So it’s Tuesday. Usually we have Story Telling Podcast on Tuesdays. Last week we didn’t because Garrett and I were sick. This week I’m sick. I don’t know if they will be doing the hang out tonight, but I literally can’t speak. My voice is entirely gone. I was told not to talk at all. So I’m talking with my fingers through the keyboard. I think part of the reason I’m still sick after ten days is that I spent the weekend at Radcon having fun with Gregg and Trish. I even sold a book! It was kind of awesome. 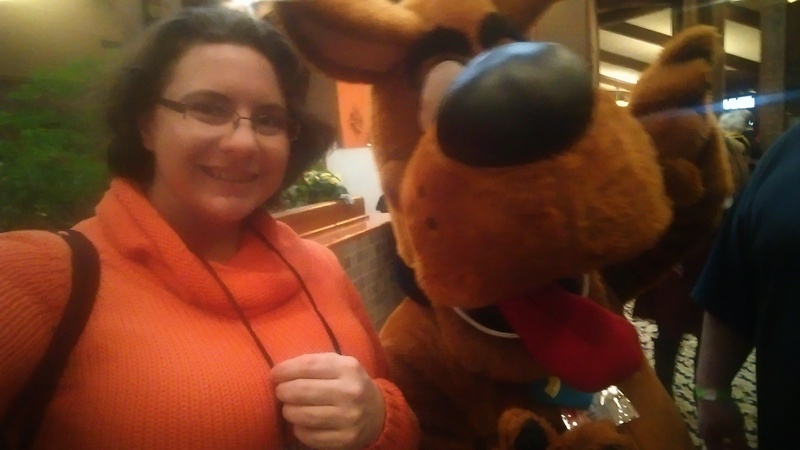 Here are some pictures from the con! There was so much to see. So many people dressed up as their favorite characters, or just fighting. Even some fire dancing. We went to a few panels and did a lot of shopping. Learned a lot. Because that is what we both found at Radcon… we belonged. Or rather it really felt like it. 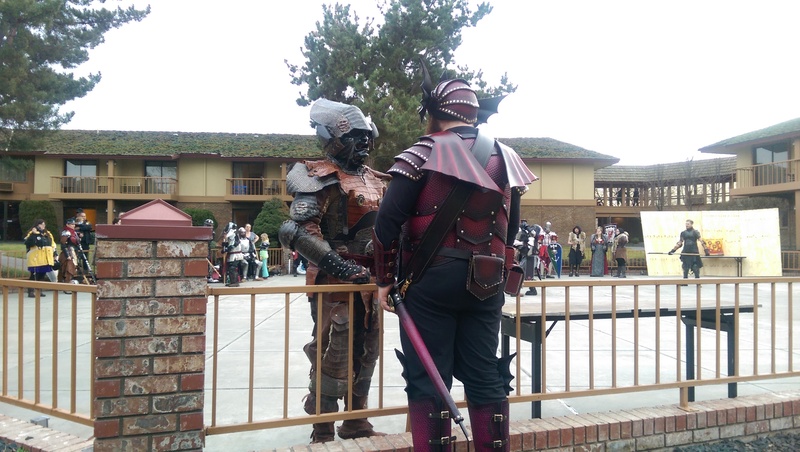 I am terrible at talking to random people, and yet while at RadCon I couldn’t help but just talk to people and tell them how nice their outfit was, or how great their paint was. I couldn’t help sharing my fangirl over a certain comic or anime. I was surrounded by people who loved the same things I did, and it was amazing! If you ever have a chance to go to a convention I suggest you do so. There are tons of them. Some for Sci-fi, some for steam punk, and many for very specific things like Star Trek, Dr Who and Firefly. Find the one that really encompasses your inter fandom and meet people who love what you love. Just don’t do it while you’re sick if you can help it. That was the only down side to the whole thing and I had to miss out on after parties because of the sickness. Ug!